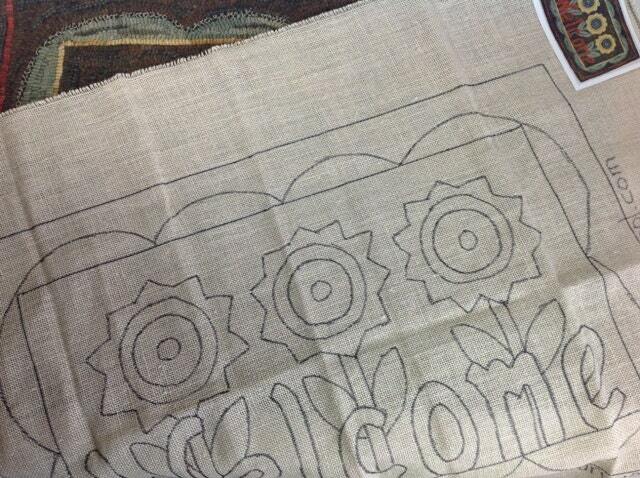 An original design by Mary Johnson, "Sunflower Welcome", hand drawn on your choice of cotton monks cloth or primitive linen. It measures 18" x 28". A 4" x 6" color photo is included. Great care has been taken to make sure the pattern is drawn on the straight of grain so that you will have a squared up rug when you finish the edges. A 4" border allowance surrounds the design and the outside raw edges of the foundation fabric have been serged to prevent raveling while hooking. 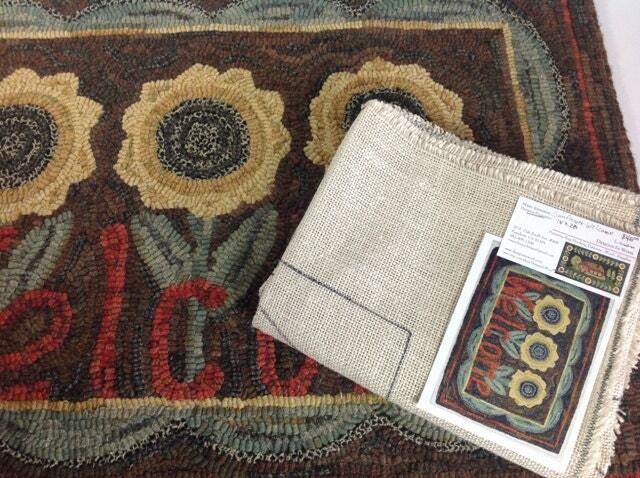 This is a fun rug to hook and suitable for beginners and veteran rug hookers alike. 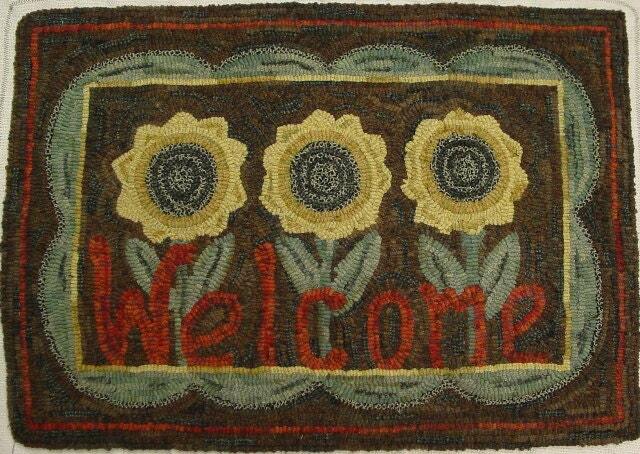 Create a "welcome mat" with cheerful sunflowers to greet your visitors. 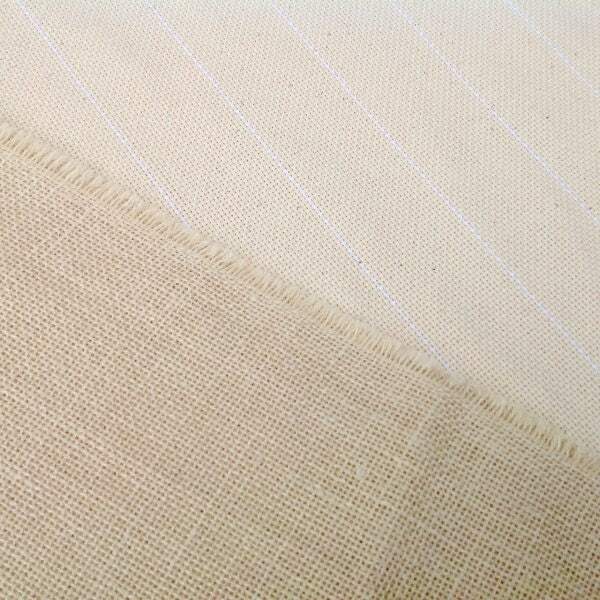 For more about foundation fabric choices, see my FAQ. © Mary Johnson/Designs In Wool. This and all of my original designs are copyrighted and may not be reproduced in any manner. You are purchasing the rights for one-time use. Please do not share or copy. Thank you for respecting copyright laws and your support of my small business.